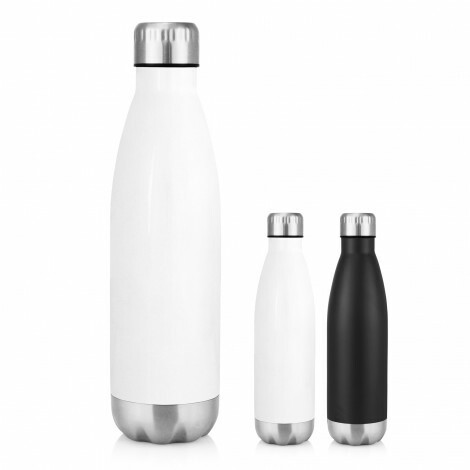 These double walled, vacuum insulated, stainless steel bottles are a must for storing either hot or cold beverages; effectively keeping beverages hot for 12 hours or cold for 24 hours. 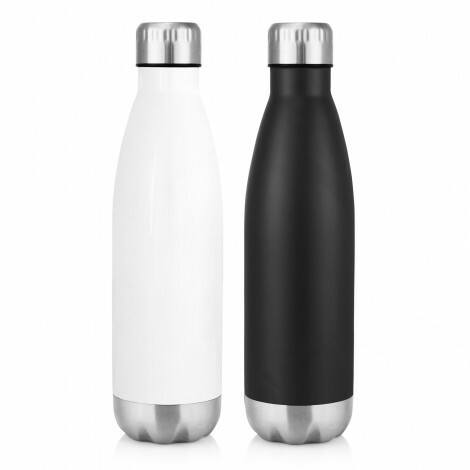 Manufactured from the highest quality #304 stainless steel with copper plated interior, they laser engrave beautifully (particularly the black) and look fantastic with a full colour digital print (particularly the white). 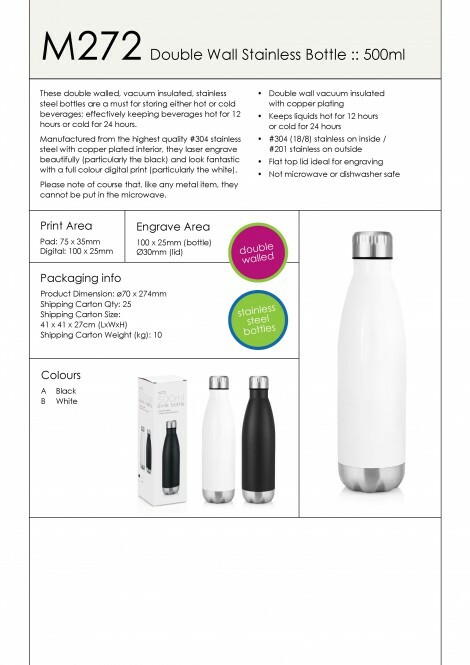 The bottle's usability and high visibility makes it a brilliant printed promotional product. 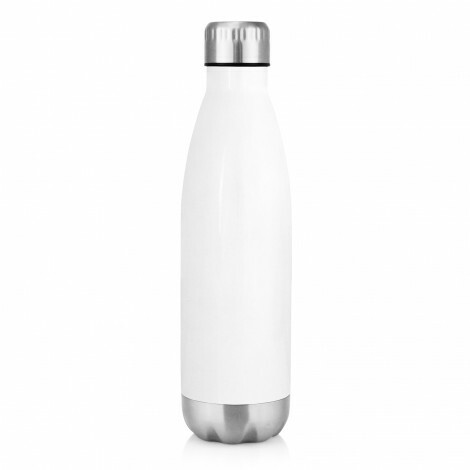 Students and fitness/outdoor enthusiasts will love them but, then again, so will anyone who likes to carry a little hydration with them... which as we ALL know these days is an important key to good health. 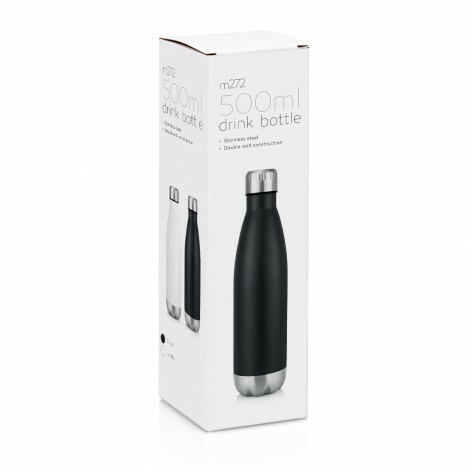 Sold in a retail quality gift box. Please note, of course, like any metal item, they cannot be put in the microwave.